When you make The Pointe at Central your home, you’ll be within walking distance of Waterford Lakes Town Center. There, you can shop in a wide range of stores and meet your friends afterwards for delicious ice cream at the Marble Slab Creamery. You’ll also be near the 82-acre UCF Arboretum, where you can explore leafy trails by doing some geocaching with your friends. On weekends, drive 20 minutes into downtown Orlando to visit great eateries like Tako Cheena, or join the tourists at famous theme parks like Disney World Florida. At The Pointe at Central, you’ll share a furnished apartment with a private or shared bathroom. 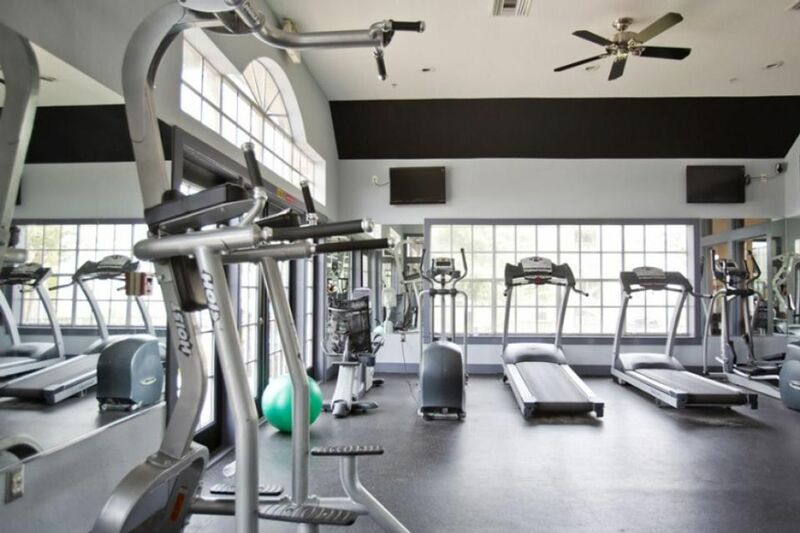 Get fired up for the day ahead with a workout at the 24-hour fitness center. 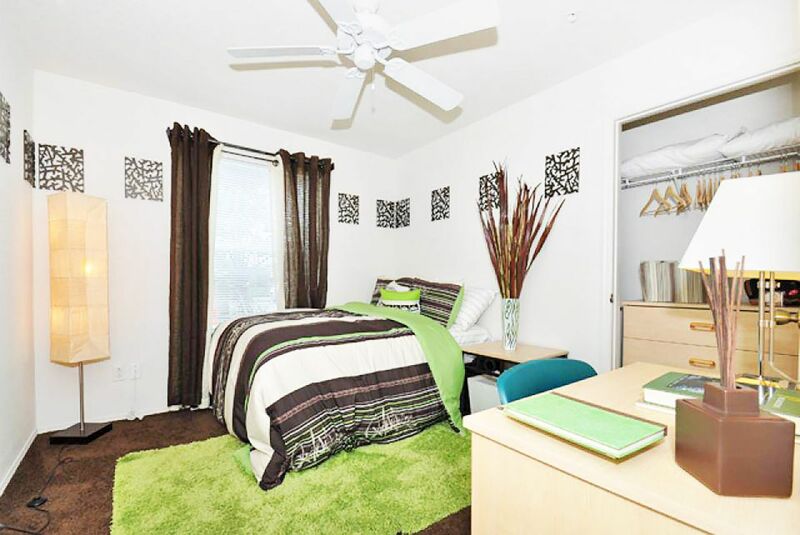 After catching up with your housemates over coffee in your kitchen, hop on the shuttle bus that takes you right onto the University of Central Florida campus, which is within a 10-minute drive. After class, come home and grab a snack from the on-site vending machines to keep you going, and head to the business center for a study session, where you can get your essay written and printed with the free printer ink. For a quieter space, open your books on the desk in your room and research using the free Wi-Fi. 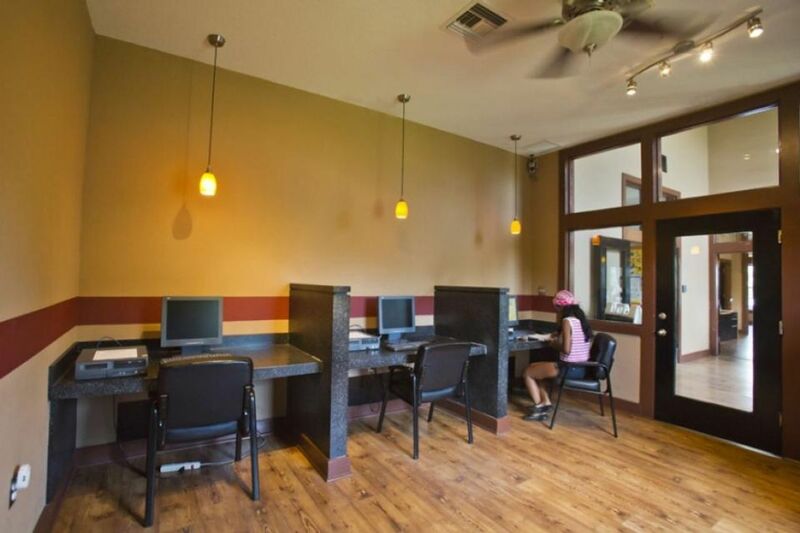 Hang out in the 24-hour clubhouse with your friends and watch the plasma TVs, or challenge a friend to a game of billiards or ping pong in the games room. There’s also a pool volleyball court and a sandy one for beach-style fun. Enjoy a game of tennis, or take part in a tournament on one of the basketball courts. If you’d rather soak up the sun, join one of the community pool parties or relax in the hot tub. If you plan to stay in, get your friends over and prepare a hearty meal in your well-equipped kitchen. While your dishwasher handles the washing up, host a movie night by borrowing some free movies from the DVD library. Regular social events like pizza days and ice cream socials mean you’ll find it easy to make friends. Staff are on hand 24/7 if you need help, and there’s on-site parking to keep your car safe. With some utilities included in your rent, you also don’t need to worry about unexpected bills. We couldn't find a room that matches your preferencesView all Private Room in The Pointe at Central.